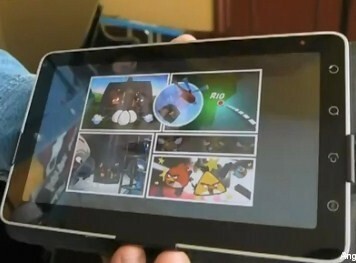 Our first glimpse of Angry Birds Rio is caught on camera at SXSW! Amazon is "winning"! If you Android user who was planning on purchasing Angry Birds Rio it will ONLY be available via the Amazon AppStore, not the Android Marketplace. 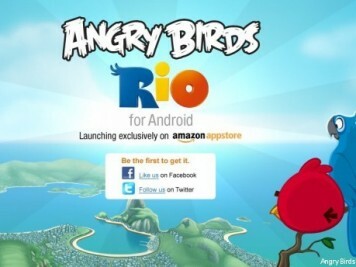 The Angry Birds Rio gameplay trailer is finally here. It includes the first glimpse of the "boss fight" component of the game. I wish I could have seen this in person. 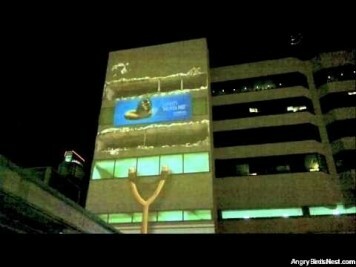 They projected Angry Birds on to a huge building to announce that, "New Angry Birds Levels are Coming Soon to the Nokia Ovi Store". 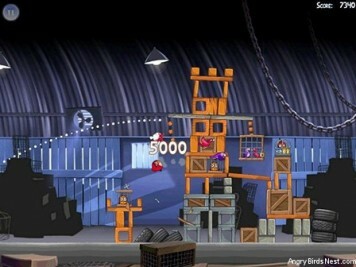 The first screenshots of Angry BIrds Rio have emerged, as well some some other details about Angry Birds Rio. 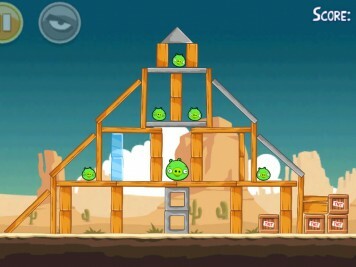 The latest update to Angry Birds Seasons (v1.3.0) has finally landed on Android and includes Go Green, Get Lucky. 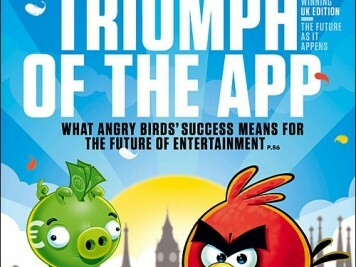 Angry Birds is featured in the April 2011 issue of Wired magazine (UK). 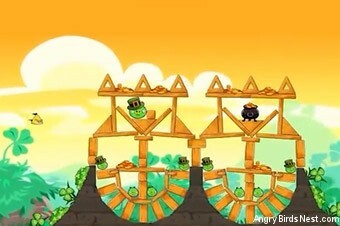 We break down some of the most interesting tidbits and offer a first glimpse into Angry Birds Rio. 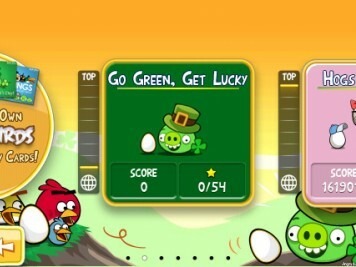 Angry Birds Seasons Go Green, Get Lucky Update is Here! 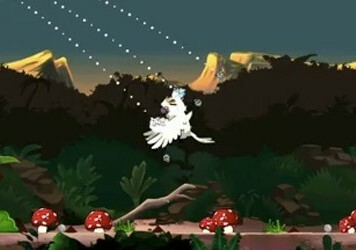 The latest update to Angry Birds Seasons has landed. The St. Patrick's Day themed edition is aptly named, "Go Green, Get Lucky" and looks awesome! The latest Angry Birds Seasons update is due out any time. Check out some screenshots and the official game play trailer in this sneak peak. 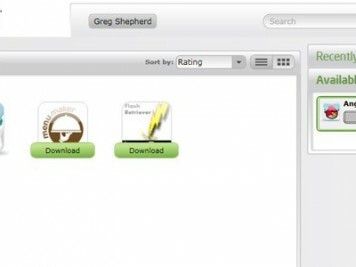 Angry Birds PC was also updated to v1.5.1 today. It's not quite as easy to upgrade though, so if you get stuck check out this post. 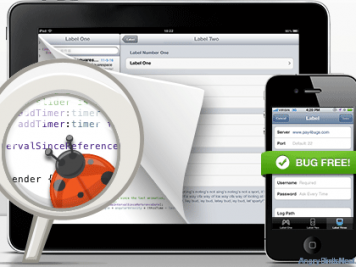 The newest update to Angry Birds Mac is available for download via the Mac App Store today. You finally get Ham 'Em High! 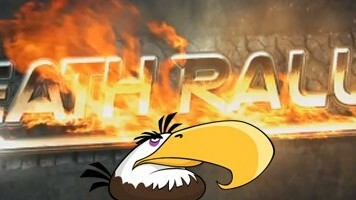 The Mighty Eagle is now available as an SDK (software development kit) and has been integrated into the forthcoming iPhone game, "Death Rally".